Beekeeper Holly McNee Kensen quietly lives in a world of her own on Sullivan’s Island, tending her hives and working at the local island library. Holly calls her mother The Queen Bee because she’s a demanding hulk of a woman. Her mother, a devoted hypochondriac, might be unaware that she’s quite ill but that doesn’t stop her from tormenting Holly. To escape the drama, Holly’s sister Leslie married and moved away, wanting little to do with island life. Holly’s escape is to submerge herself in the lives of the two young boys next door and their widowed father, Archie. Her world is upended when the more flamboyant Leslie returns and both sisters, polar opposites, fixate on what’s happening in their neighbor’s home. Is Archie really in love with that awful ice queen of a woman? If Archie marries her, what will become of his little boys? Restless Leslie is desperate for validation after her imploded marriage, squandering her favors on any and all takers. Their mother ups her game in an uproarious and theatrical downward spiral. Scandalized Holly is talking to her honey bees a mile a minute, as though they’ll give her a solution to all the chaos. Maybe they will. 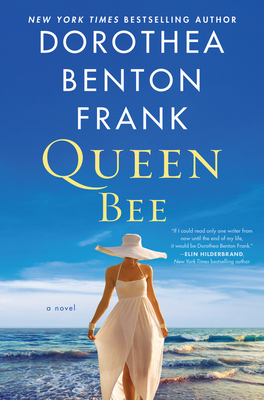 Queen Bee is a classic Lowcountry Tale—warm, wise and hilarious, it roars with humanity and a dropperful of whodunit added for good measure by an unseen hand. In her twentieth novel, Dorothea Benton Frank brings us back to her beloved island with an unforgettable story where the Lowcountry magic of the natural world collides with the beat of the human heart.